Despite its struggles in 2018, McLaren continued development work on the MCL33 F1 car into October, despite suggestions it stopped five months earlier. 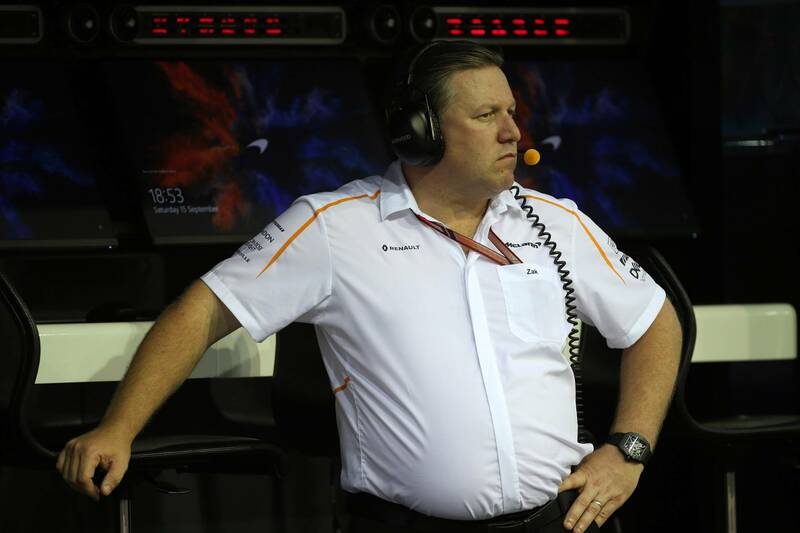 McLaren chief Zak Brown has denied the team ceased development on its 2018 Formula 1 car after the Spanish Grand Prix in May, claiming it continued to work on updates for the MCL33 until October. McLaren saw its recent poor form continue in 2018 as the team failed to finish a race any higher than fifth – scored at the opening round of the year in Australia – leaving it sixth in the constructors’ championship. The team found it had fundamental design issues with its 2018 chassis, the MCL33, as it struggled to compete with the other Renault-powered teams. Explaining the team’s poor form at Suzuka in October, McLaren driver Fernando Alonso said: “I think we constantly see new parts to the midfield guys every weekend, because we see their cars, we see the pictures. While McLaren Racing CEO Brown described the team’s season as “very disappointing,” he moved to clear up suggestions the team had given up on the MCL33 car early, saying in Abu Dhabi that development had continued through to the United States Grand Prix October. “We obviously built a very poor race car that has not responded much to the development we’ve put on the car,” Brown said. “We developed the car all the way up until the U.S. Grand Prix, so some of the reports that we stopped in Spain were very inaccurate. “But I think some of the development in the second half of the year was about learning for next year’s car. McLaren’s difficult 2018 season came despite its switch to a Renault engine supply after three years working with Honda, where a lack of performance and reliability from the power unit was often cited as the reason behind the team’s struggles. Brown said the switch had helped McLaren properly recognise where its issues lay, having been given the opportunity to measure itself against other teams running the Renault power unit. “We had challenges those three years and so it’s harder to understand when you’ve got different variables that aren’t performing, where are the areas of weakness,” Brown said. “When you get yourself in the situation where you have a clear marker where Red Bull is, you can take that out of the equation and there’s fewer places to look. “I think in that sense, it helps that there were two other teams we could directly measure ourselves against, and we fell short performing against either of them.